Charles Lee Irons, The Righteousness of God: A Lexical Examination of the Covenant-Faithfulness Interpretation. WUNT II/386. Tübingen: Mohr Siebeck, 2015. xxiv + 444 pp. $134, cloth. Lee Irons, a graduate of Westminster Seminary California, sets out in The Righteousness of God: A Lexical Examination of the Covenant-Faithfulness Interpretation to demolish a major portion of the NPP argument and simultaneously defend the traditional Reformational view. Which portion? Briefly, the Pauline phrase “righteousness of God,” which NPP defines as: God’s faithfulness to his covenant when in (initial) justification he declares that a believer is in relationship with him and is a member of the covenant (“covenant-faithfulness interpretation”). This is the view of James D. G. Dunn and N. T. Wright. This book is important, detailed, scholarly, and well-researched. It is a revised version of Irons’s 2011 PhD dissertation from Fuller Theological Seminary and published in a prestigious series (Wissenschaftliche Untersuchungen zum Neuen Testament). NPP authors will now have to defend themselves against Irons’s arguments. The following review will be fairly technical, but even if readers become lost in the details, I trust they will see the big-picture argument and importance of this book. In Irons’s view, the NPP rests on “three pillars” (p. 2). He disagrees with all three, but his book concentrates on the third pillar. The first is Sanders’s covenantal nomism, which asserts that no groups in Second Temple Judaism were works-righteousness oriented. If Second Temple Judaism was not works-righteousness oriented, then Paul was not arguing against it in phrases such as “works of the law” or “justification by works.” So what was Paul arguing against if not works-righteousness? The second pillar is Dunn/Wright’s view that “works of the law” were primarily Jewish boundary markers and not a works-righteousness soteriology. Therefore, when Paul contrasted justification by works and justification by faith (e.g., Gal 2:16), he was not contrasting two competing soteriologies. Rather, it was “a contrast between two ways of being identified with the covenant people of God, namely by the badge of boundary markers and by the badge of faith in Christ” (p. 3). The third pillar is the concern of Irons’s book. It “is connected to the second, and consists of the lexical claim that Paul’s DIK-language is to be interpreted against a Jewish background and hence in covenantal categories” (p. 3). Irons critically evaluates the third pillar as the other two “have been sufficiently addressed” (p. 5), in his judgment. More specifically, within the DIK-language group, Irons concentrates on the Pauline phrase “righteousness of God” (δικαιοσύνη θεοῦ), which is found in Rom 1:17, 3:5, 21, 22, 25, 26, 10:3 (bis), 2 Cor 5:21, and Phil 3:9 (τὴν ἐκ θεοῦ δικαιοσύνην). He opposes the relational/covenantal view of “righteousness of God” and the additional move by NPP that sees justification as the declaration that one is a member of the covenantal community. Before getting into the details of the book, a quick review of the current grammatical/theological options for “righteousness of God” may be helpful. Below is my categorization, and I would assume that most would agree to it. Be aware that some authors use different options for different verses. Also I am not dealing here with the verb “to justify” (δικαιόω), the adjective “righteous” (δίκαιος), the result-noun (δικαίωμα), nor the action-noun “justification” (δικαίωσις), although there are implications for these from one’s view of the “righteousness of God.” We can identify three basic options. (1) An attribute of God: possessive genitive. (1a) God is just according to his law. The attribute by which God punishes evil and rewards good. Also called iustitia distributiva (“distributed justice”). This is an historic view. Reformers see this primarily for Rom 3:5, 25, 26. (1b) God is faithful to his covenant. The attribute by which God fulfills his promises to his covenant people. Wright and Dunn are proponents, very close to option 3c. (2) A divinely-approved righteous status before God: origin, or source, or auctoris genitive. (2a) A divinely-approved status that is infused by God. Roman Catholic view. (2b) A divinely-approved status that is a gift and imputed by God. More specifically, the imputed righteousness is the work of Christ. The righteousness of God is the righteousness by faith (e.g., Rom 10:3 = Rom 10:6). Traditional Reformational, Ridderbos, Cranfield, and Bultmann view. Relates to Rom 1:17, 3:21, 22, 10:3, 2 Cor 5:21, Phil 3:9. (3) The saving power and activity of God: subjective genitive. This view is also called iustitia salutifera (“saving righteousness”), and it is often combined with one or more of the views above. (3a) God’s saving activity that consists in the giving to believers the status of righteousness as a gift by imputation (option 2a). View of Moo. (3b) God’s saving activity that consists in the giving to believers both a status of righteousness and a “transforming” aspect that makes them existentially righteous. View of Schlatter (? ), Käsemann, Stuhlmacher, Jüngel, and Fitzmyer. (3c) God’s saving and vindicating of his people with an emphasis on relationship/ covenant. View of Cremer (see below), Bird, Ziesler, some NPP authors. Relates to option1b. Irons will argue against option 3, or more specifically, 3c. Arguing against the covenantal aspect of 3c then effectively eliminates option 1b, which is the explicit NPP option. That is, if “covenant” is not tied to “righteousness of God” language, then justification cannot be a declaration that one is in the covenant. Irons will argue for the traditional Reformational view, which is option 2b for most occurrences of “righteousness of God” and option 1a for Rom 3:5, 25, 26. It may further help the reader to explain why “covenant” and “relational” are linked for some. In the traditional Reformational view, “righteousness” is connected to a norm or a moral law or legal stipulations (including in a covenant); hence, God’s attribute of justice, his punitive and saving activity, his declarations about humans’ being righteous or unrighteous all fits together. How is God both just and justifier of our salvation (Rom 3:26)? He was just in punishing sins, but instead of punishing believers’ sins, he punished his Son and imputed his righteousness to them. Thus, he could righteously declare them righteous! In the NPP view, “righteousness” is connected to faithfulness in a relationship and it is positive. God’s righteousness is his faithfulness to his covenant promises that results in his declaring that believers are in relationship with him and part of the covenant community. The covenant here is primarily thought of as a relationship; and so, justification is conceived as being declared in a relationship and not measured against a norm. Irons summarizes the traditional Protestant view of “righteousness of God” as the “status of divinely-approved righteousness that comes from God as a gift” (p. 317, emphasis mine). It is a soteriological term. With this view, the righteousness by faith is the righteousness of God (e.g., Rom 10:6 = Rom 10:3). To be justified is, for a believer, to have a righteous status that is a gift from God, and more specifically, that righteousness is the work of Christ imputed, not human righteousness. How will Irons make his case? Although he includes Pauline exegesis, the primary focus of this detailed study is philological/lexical. 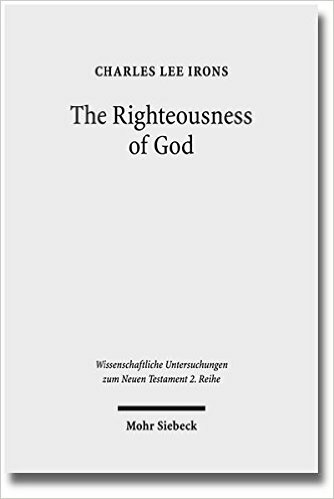 Before coming to Paul, Irons does an extensive evaluation of the noun “righteousness” (whether or not it is found in context of God’s righteousness). Of course, he does pay special attention when the context is related to God’s righteousness. He looks at both the Hebrew and Greek usage of “righteousness” (‎ צְדָקָה[fem], צֶדֶק [masc], δικαιοσύνη). His linguistic analysis covers extra-biblical non-Jewish Greek, the OT (Hebrew Bible and LXX), the Dead Sea Scrolls, the Apocrypha/OT Pseudepigrapha, and the NT outside of Paul. Why is Irons engaged in such exhaustive lexical study? He is countering the claim by NPP that δικαιοσύνη itself has as part of its semantic range a relational/covenantal meaning. NPP argues that this portion of the semantic range for δικαιοσύνη is based on its Hebrew background, especially in Isa 40-55, various biblical psalms, and DSS documents. Yes, the NPP continues, there is a forensic aspect due to the covenant idea. But primarily the term is relational, and the relationship is the norm. To be declared righteous is not to be measured against some type of normative forensic standard. For the NPP, this Hebrew relational background is contrasted with a Greco-Roman background for dikaiosu,nh that all agree clearly has a forensic usage based on a norm (iustitia distributiva). This positive relational/covenantal portion of the semantic range is what Paul used in his expression δικαιοσύνη θεοῦ. Irons’s first chapter gives a history of the lexical understanding of δικαιοσύνη θεοῦ. The church fathers, historic Roman Catholicism, and the Reformers all agreed that δικαιοσύνη θεοῦ was a righteous status before God; however, Catholics and the Reformers disagreed on whether in justification believers were infused with righteousness or declared righteous. To show the background of the NPP interpretation, Irons concentrates on Hermann Cremer (1834-1903). Cremer is acknowledged as the catalyst for OT righteousness-language being considered a relational/covenant concept in the 20th century. There is no abstract norm outside the relationship; as Cremer says, “the relationship is the norm” (p. 34). God’s righteousness is his covenantal faithfulness in saving and vindicating activity for his people. It is not a negative term and does not include condemnation for covenant people. Cremer called this righteousness iustitia salutifera (“saving righteousness,” options 3 and 3c) to purposely contrast it with the traditional iustitia distributiva (“distributed justice,” option 1a). Important OT scholars such as Gerhard von Rad and Walther Eichrodt agreed with Cremer’s view of righteousness in the OT. NT scholars Adolf Schlatter and Ernst Käsemann applied this to Paul and interpreted δικαιοσύνη θεοῦ as God’s righteous activity. Dunn and Wright also use this relational/covenant concept for δικαιοσύνη θεοῦ, or more accurately, the moral attribute of covenant faithfulness (option 1b), and then add that justification means covenant membership. Chapters two through five are the background lexical work, including significant methodological considerations. Instead of going in order through these chapters, I will try and present them to the reader in my own order. Also, I will not include Irons’s analysis of extra-biblical non-Jewish Greek and NT usage outside of Paul due to length. Irons categorizes semantically all 276 occurrences of the noun “righteousness” in the Hebrew Bible/LXX. He includes a 43-page appendix that includes these occurrences, giving the English and appropriate Hebrew/Greek so that the reader can judge whether he agrees with Irons’s categorizations. Excepting a few “difficult cases” (4.7%), he has three large categories that have numerous sub-categories (p. 111). His three large categories are “legal righteousness” (44.6%), “ethical righteousness” (41.3 %) and “correctness” (9.4%). Within this “legal righteousness” category, Irons includes the 41 occurrences that the OT refers to the “righteousness of God” (see table on pp. 178-81). Irons summarizes these 41 occurrences as “God’s justice in . . . [either] (a) the act of punishing Israel’s enemies or (b) the deliverance that results when Israel’s enemies are thus extinguished and Israel is vindicated” (p. 178). Again, Irons sees these in the context of legal conflict, either God’s justice as a king or a lawgiver, or in a legal conflict. Irons notes that in some verses the ethical and legal righteousness categories overlap (pp. 118-19, 272). For one who is ethically righteous, one is legally declared so (e.g., 1 Kgs 8:32). He further notes that sometimes one is not ethically righteous, but still God legally declares the person righteous (e.g., Gen 15:6). This foreshadows Rom 4:3-5. The third category of “correctness” is much smaller than the two above. “It is used to refer to speaking the truth, to just weights and balances, or doing something correctly” (p. 119). One example: “Let me be weighed in a righteous [fair] balance, and let God know my integrity” (Job 31:6). Finally, Irons notes that “righteousness” in the OT is often in the context of the words “to judge” (שָׁפַט) and “judgment” (‎מִשְׁפָּט), but rarely in the lexical context of the word “covenant” (בְּרִית.). In fact, “covenant” occurs 283 times and צדק-related words occur 524 times in the OT. However, only in seven instances do they “come into any significant semantic contact”! This confirms that, linguistically speaking, for צְדָקָה, צֶדֶק, “the metaphorical or social setting presupposed . . . is that of the judicial court rather than that of covenant-making and covenant-keeping” (p. 126). To review: I have presented Irons’s lexical analysis of OT “righteousness,” and more specifically, the “righteousness of God.” Two key related points: first, Irons admits that there are texts that include God as acting righteously for his people (iustitia salutifera, option 3), but they are found in a legal context/motivation, not a relational/covenantal one. Secondly, the 41 occurrences of God’s righteousness are always in a legal context. The overarching point is that Irons does not see relational/covenantal as any part of the semantic domain for “righteousness.” This brings us to the next section, where Irons counters Cremer’s relational/covenantal view. One of the strengths of Irons book is a thorough explanation and refutation of Cremer’s arguments for the relational/covenantal view. Irons’s intention is to show that modern scholars are unwittingly relying on methodologies and conclusions that are out of date. I will only briefly mention three of these. Cremer claims that God is not a God of distributive justice (option 1a) (p. 134) because distributive justice is not proper for a loving and relational God. According to Cremer, God’s righteousness is only related to salvation within the covenant and not to judicial concerns. Irons refutes this by citing numerous passages where God’s judgment and righteousness/righteous are in the same context (pp. 135-39, e.g., Ps 7:11-12, Neh 9:33). Obviously, “nations” are related to “kings,” but it is not an exact equivalent. Similarly, Zion’s “righteousness” is related to “glory,” but “glory” is obviously not simply defined as “righteousness.” Seeing the connection between glory and righteousness helps us better understand each word, but they are not lexical equivalents. Irons complains that Cremer’s “wooden approach” to Hebrew parallelism leads him to assume that God’s righteousness is God’s salvation as in the following (pp. 142-43): “For soon my salvation will come; and my righteousness be revealed”. (Isa 56:1). Irons argues that salvation is a subset of God’s judicial righteousness, not an equivalent. Sometimes God’s punishment is God’s righteousness also. Similarly, for the few texts that connect “covenant” and “righteousness,” God’s faithfulness to his covenant promises is righteous behavior, but not all righteous behavior is related to covenant keeping. Finally, Irons observes that Cremer (and Dunn/Wright) operates with a false dichotomy between the Hebrew and Greek mindsets. Among other things, so the argument goes, the Hebrew mind was relational, and the Greek was logical/law oriented (pp. 57, 77, 84.) Irons reminds us that James Barr famously attacked this fallacy in his The Semantics of Biblical Language (1961). There are 226 useful occurrences of צְדָקָה, צֶדֶק in the DSS. 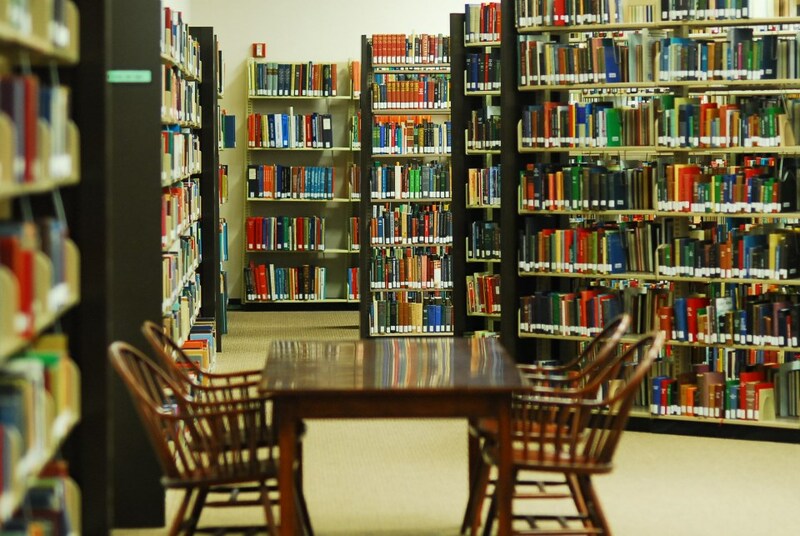 (74 additional occurrences are found in manuscripts that are significantly blemished.) Irons categorizes these uses and concludes that they fall into the same three categories of the OT with more-or-less the same frequency (table on p. 200). 35 are some form of the “righteousness of God,” and Irons provides their location and English translation (pp. 198-200). Irons finds examples of God’s righteousness being used in judgment (e.g., 1QH VI, 15-16). He deals with the oft quoted passage in 1QS XI, 2-17 that connects God’s righteousness and ‎מִשְׁפָּט, which is variously translated as “justification/judgment/vindication.” For example, “If I stagger because of the sin of flesh, my justification (משׁפּט) shall be by the righteousness of God which endures forever” (1QS XI, 12, Vermes translation). Irons interprets this as “the saving righteousness of God, that is, his judicial activity that results in the vindication of his servants” (p. 205). That is, he sees iustitia salutifera in the DSS as a subset of iustitia distributiva (p. 207). Irons separates the various documents in the Apocrypha, OT Pseudepigrapha, and Hellenistic Jewish writings (e.g., Josephus) into (1) those originally composed in Hebrew/Aramaic (and many are now only extant in other languages) and (2) those originally composed in Greek. Why is he doing this? Irons admits that צדק in the OT and its LXX translation of dikaiosu,nh can mean iustitia salutifera (God’s saving activity within a legal context). However, Irons wants to examine whether this aspect of δικαιοσύνη, which is certainly in the LXX, is only included in translation Greek, or does “ this salvific usage [pass] over into the mental furniture and parlance of Greek-speaking Jews” (pp. 82-83). That is, perhaps δικαιοσύνη only includes the iustitia salutifera in Jewish writings that were originally in Hebrew/Aramaic and then translated to Greek, but not elsewhere in Jewish-Greek literature that was originally composed in Greek. After a detailed analysis of these writings, Irons concludes that for both groups of writings there are the categories of ethical and judicial righteousness matching to the OT. The category of iustitia salutifera does exist in the writings originally composed in Hebrew/Aramaic similar to the DSS, but Irons is quick to point out these are best understood “in terms of God’s delivering/vindicating righteousness as a subset of God’s iustitia distributiva” (p. 232). In the Jewish writings originally composed in Greek, Irons only found two instances of iustitia salutifera, and he concludes that “there is a strong emphasis on God’s distributive and even punitive justice” (p. 262). In sum, for Jewish literature originally composed in Greek, Irons does see iustitia salutifera, although with an emphasis on the punitive aspect of God’s activity. This is as opposed to Cremer’s positive activity. Irons will then take this conclusion of a more punitive sense of iustitia salutifera and consider it as a part of the possible semantic domain of the NT. He will not consider the positive aspect as part of the NT semantic domain. From my perspective, this is the most debatable point of Irons’s overall thesis. More on this below. Chapter six is Irons’s exegesis of the Pauline “righteousness of God” passages. He begins by summarizing his lexical conclusions for the semantic range available to Paul. He considers the NT in the same category as any Jewish document originally composed in Greek. His three main categories are “(1) God’s distributive justice; (2) his punitive judicial activity which results in the deliverance of his people from their oppressors (iustitia salutifera in the proper sense); and (3) the status of divinely-approved righteousness before/from God” (p. 272). To Irons’s credit, he notes that Paul is not necessarily bound by these three. The exegete “must allow for the possibility that [Paul] transformed the linguistic usage with his own theological insights” (p. 272) and thus expand the available semantic range. In this chapter, Irons will evaluate three major views: (1) “God’s Covenant Faithfulness,” option 1b (views of Dunn and Wright); (2) “God’s Saving Activity or Power,” option 3; and (3) “Gift of Righteousness from God,” option 2b. Concerning the covenant-faithfulness interpretation, Irons does not see “covenant faithfulness” as part of the OT-and-Jewish-literature semantic domain; however, he notes that those who favor this view do not only appeal to background usage, but also to the exegesis of Paul. Hence, he presents and then rebuts the various exegetical arguments of Dunn and Wright relative to a covenantal-faithfulness interpretation. Next, Irons evaluates the “saving activity” interpretation of “righteousness of God.” He interacts primarily with Richard Hays and some of his intertextuality arguments from the Psalms. Irons concludes that the standard iustitia salutifera interpretation is wrong. However, he muses that if one has previously concluded on exegetical grounds that the gift interpretation is correct, then one can see the ultimate theological harmony of concluding that the iustitia salutifera in some OT passages is the giving of the gift of the righteousness from God (option 3a). Finally, Irons presents his exegesis for the gift interpretation. He concludes that “righteousness of God” in Rom 1:17, 3:21, 22, 10:3, 2 Cor 5:21, and Phil 3:9 refers to the gift, which is the imputed righteousness of Christ (option 2b). He also concludes that Rom 3:5, 25, and 26 refer to God’s distributive justice (option 1a). These are traditional Reformational conclusions. One particular methodological/exegetical argument that is especially helpful in his rebuttal of the covenant-faithfulness interpretation involves his use of the German term Näherbestimmungen. Näherbestimmungen are “near-definers:” a word (or words) in the immediate context (as opposed to a broader context) that sometimes absolutely defines the other word in question. For example, consider the word “key.” Imagine a meeting of musicians that are discussing various musical keys for a particular song. During the meeting, one of the musicians mentions that she lost her “car keys.” The word “car” is the Näherbestimmungen that immediately defines “keys,” and the broader context of musical keys becomes irrelevant. Irons considers “faith” as an Näherbestimmungen in the context of “righteousness of God.” He writes: “When Paul speaks of δικαιοσύνη θεοῦ as something that is either offered to or received by faith, it is clear that the ‘gift of God’ meaning is selected, whereas other possibilities, such as God’s distributive justice or his saving activity are thereby deselected or at least pushed into the background” (p. 320). I find myself in great agreement with this book. As to the exegesis of “righteousness of God” in the Pauline texts, I agree in every case. What are the strengths of this book? I begin with two low-level strengths. First, this book is an exhaustive (and exhausting!) evaluation of “righteousness” texts. Even if one disagrees with Irons, the many citations and tables of “righteousness” verses is very convenient for one’s own evaluation. Second, a detailed explanation and analysis of Cremer’s views is helpful as he is often referenced in scholarly literature. The primary strength of Irons’s work is his consistent explanation of how the lexical evidence fits together within the primary setting of a judge (and/or a king acting as a judge) that is judging against a norm. Pulling together all of the righteousness language demonstrates the various aspects of the semantic range that include righteous judging (positive and negative), righteous judgments, righteous behavior, and correctness (e.g., righteous weights). This in turn explains how the “righteousness of God” in Paul can include both iustitia distributiva (attribute of a righteous judge) in Rom 3:5, 25, 26 and the gift of righteousness (forensic righteousness based on the imputed righteous “behavior” of Christ) in the remainder of verses. Irons also provides answers to why God’s righteousness is often paralleled to God’s salvation in the OT and DSS. God’s salvation (iustitia salutifera) in these contexts is a subset of God’s attribute of justice (iustitia distributiva). Irons is not saying anything new with this view, but it is the comprehensiveness of the data covered and the rebuttals of the relational/covenantal view that makes this book stand out. Typically in a classroom discussion of justification, I tend to begin with the verb “to justify” (צדק, δικαιόω). It is clear, that this verb predominantly means “to declare forensically righteous” and does not mean “to infuse righteousness” nor “to declare one as a member in the covenant.” I then move to other righteousness-related words. To Irons’s credit, he took the harder road. He concentrates on the noun “righteousness” (צְדָקָה, צֶדֶק,, δικαιοσύνη) as it is part of the phrase “righteousness of God.” In this way, he more directly confronts one of the primary NPP arguments for a relational/covenantal interpretation. Similarly, in a discussion of NPP, I start with the NPP’s assumption that “no one” in Second Temple Judaism had a works-righteousness soteriology. Then I move to problems with interpreting “works of the law” as primarily Jewish boundary markers. Again, to Irons’s credit, he takes the less travelled road. We are indebted to his scholarly labors in the case against NPP. Given all the positives, allow me to mention two areas where Irons’s arguments are weaker. The first concerns his analysis of non-biblical Jewish literature. One of his primary emphases is to see if there is a difference in the semantic range of dikaiosu,nh in literature that was translated from a Hebrew/Aramaic original versus literature originally written in Greek. While I appreciate the theoretical possibility of this, it is hard for me to image that the LXX usage is not at least a semantic-range possibility for a biblical writer. In addition, various choices as to which writings in the Apocrypha and OT Pseudepigrapha were originally written in which language are too tenuous to make any firm conclusions. Hence, I would want to add to Paul’s semantic-range possibility for “righteousness of God” a positive-salvific activity of God (although I agree with Irons that this would be a subset of God’s attribute of justice). My second issue is an omission in the DSS section, where he does not discuss whether “covenant” and righteousness-language are common together. This is an intriguing question because in the OT they are rarely together. From my reading of the DSS, I often find the two in the same context (e.g., 1QSb III, 23-24; CD I, 15-20; 1QS X, 10-12). However, I have not done an exhaustive study. It would help to know what Irons thinks of this and whether my sense of the DSS is correct. No matter the answer, Irons’s point that semantically speaking, God’s attribute of justice would be the main category and covenant a subcategory still stands. I have a “whole lotta love” for this book!